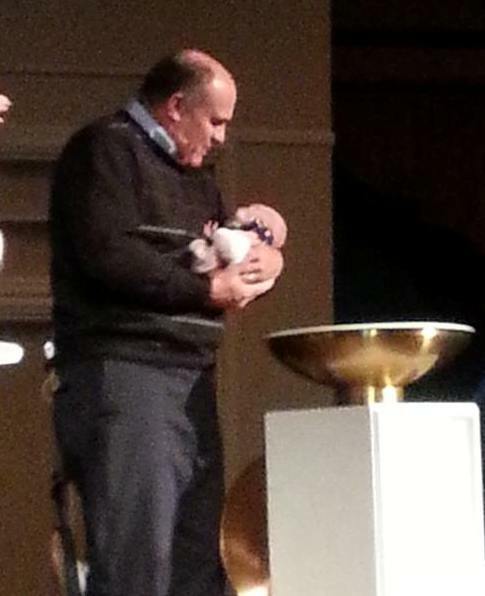 Last evening my second grandchild, Grace Amelia Keller, was baptized. It was a big celebration with aunts, uncles, grandparents and friends rejoicing in a new child of God. 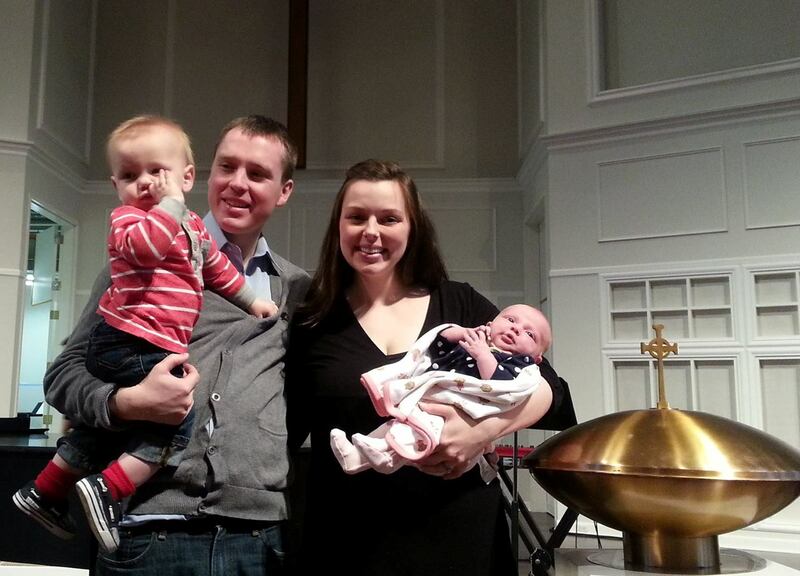 When my first grandchild, Jack, was baptized I reflected on the significance of baptism here. Last night I was struck with a whole new perspective. Before the baptism, Pastor John Crosby gave some instruction to the gathered congregation regarding baptism. He emphasized the role each of them has in modeling and teaching the faith to Grace. At one point he said, “And if Grace is running down the halls of the church, you should be chasing after her.” I am not sure exactly what he meant by that image of running and chasing, but I immediately flashed back to my own son, Jonathan, father of Grace, running up and down the halls of the church when he was a toddler. Children do a lot of running and exploring. Last night after the baptism, Jack and his friend Lily were both running/toddling/crawling about the church, exploring every nook and cranny. They wanted to see all the musical instruments, the doorways and pews. In an earlier age, I might have discouraged such behavior in “God’s House,” since it seemed disrespectful. Today I encourage it as children seek through exploration to understand their environment. They have not become jaded or apathetic about church space. Our congregation’s Easter postcard (inviting new residents to Easter worship) is simple this year. It is a young child running with joy in a park. In John 20:4 Peter and John race to the empty tomb after hearing Mary’s report of it being empty. They ran with joy and excitement. Maybe that is why we need to chase Grace and other children down the halls of the church. Not so much to stop them or to keep them safe and quiet. Rather that we might capture their childlike enthusiasm of exploring the sacred. To find Jesus. After all we are all children of God. Together lets run to see him. In what ways do you think we should receive the kingdom like a little child? 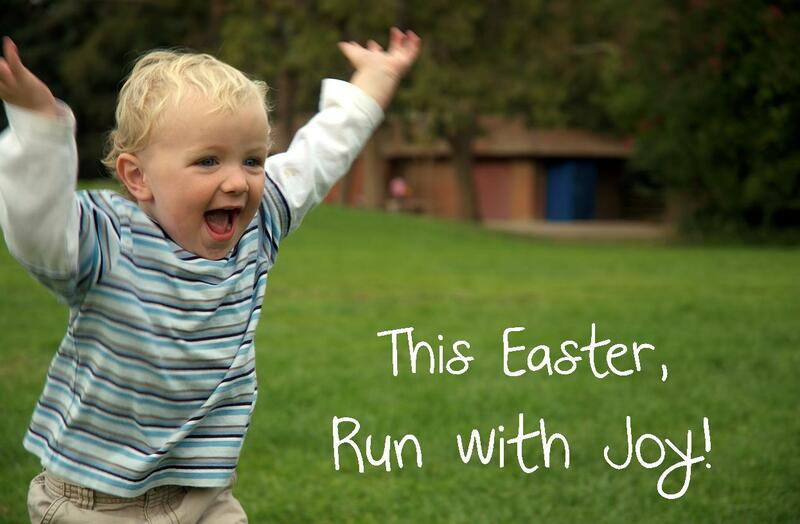 Lord Jesus, create in me a child’s desire to run after you. This entry was posted in Baptism, Jesus, Running, Uncategorized and tagged chasing, Children, John 20:4, Luke 18:16 on March 31, 2014 by Pastor John Keller. Faith like a child to me means absolute certainty that God will provide what He has promised. Thanks, Bette. Child-like trust is a quality worth seeking.